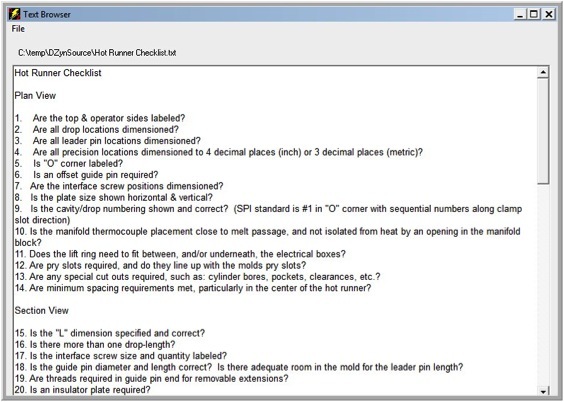 Here’s a list of questions that you can use as a checklist when checking hot runner drawings. The list is based on experience. A handy reminder, and memory jogger, for all who have to check hot runner drawings. The checklist is in a limited word processor, so you can add your own items to the list.